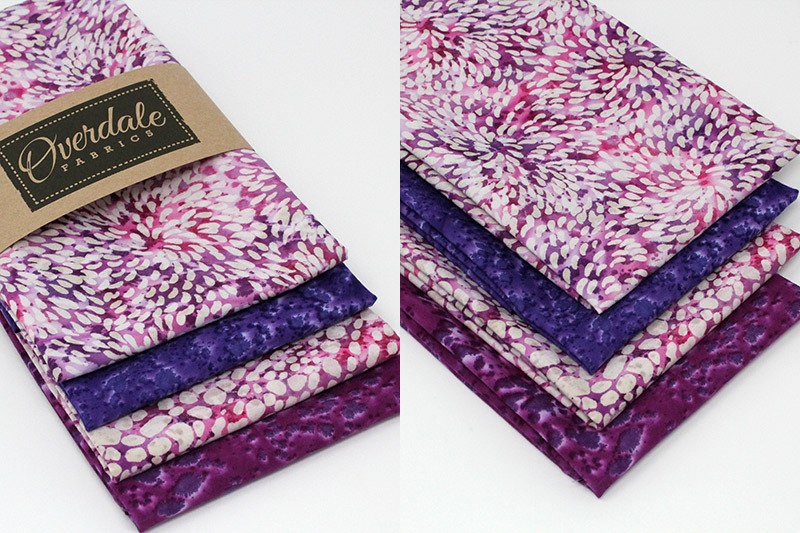 We are very excited to be launching our new batik fat quarter bundles. I’ve been trying to source some beautiful batiks for quite some time. 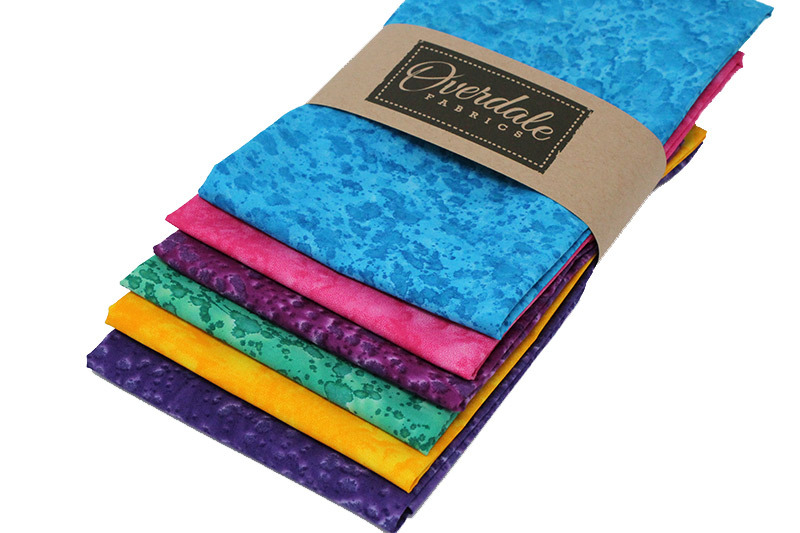 So I was delighted when I came across these fabrics, I just love the quality and vibrant colours. Bakiks in beautiful shades of blues, purples, pink and greens that coordinate beautifully. Each fabric comes as a fat quarter approx. 18 X 22 inches which is a great size for quilting and crafting projects. 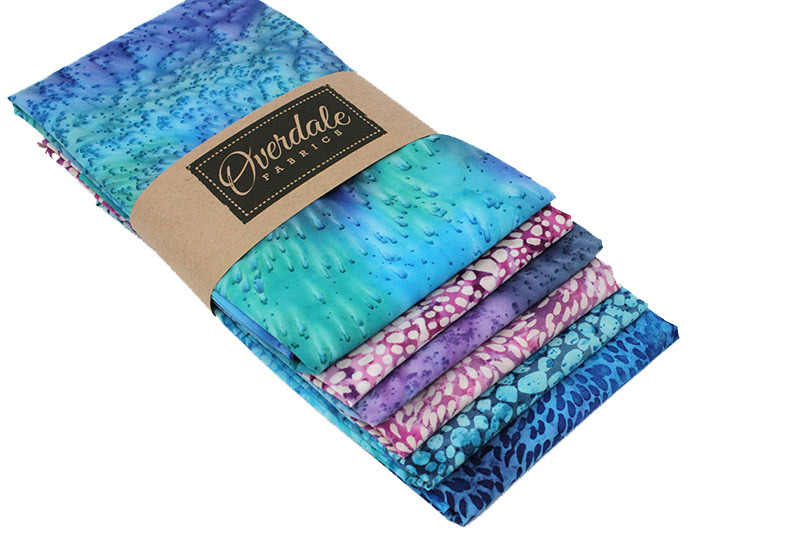 This pack is as vibrant and rich as a handful of precious stones with fabrics in jade, ruby, gold, sapphire, amethyst and magenta. Four of the fabrics have the classic batik design and the other two – gold and ruby have a mottled look. 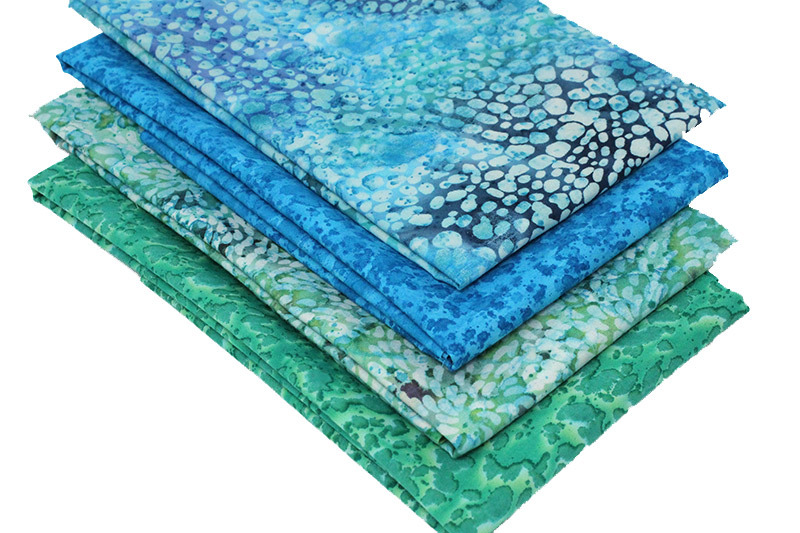 Batiks in beautiful fresh greens and blues, they really remind me of crashing sea waves. These rich colours include magenta pink, pale pink and deep amethyst purple. We have had a great response to these fabrics already so don’t miss them as stocks are limited. As these fabrics are all hand dyed we recommend a gently pre wash, and don’t forget to wash the dark colours separately to avoid colour runs.